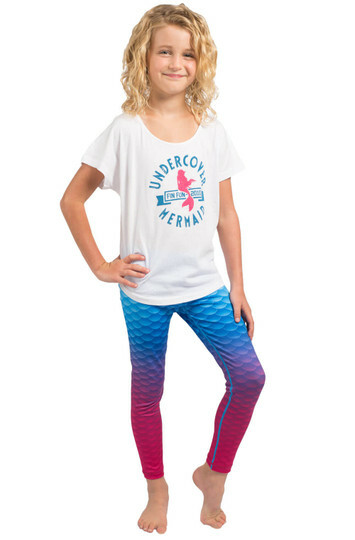 Show off your fierce mermaid style on land in Fin Fun’s Maui Mermaid Leggings! 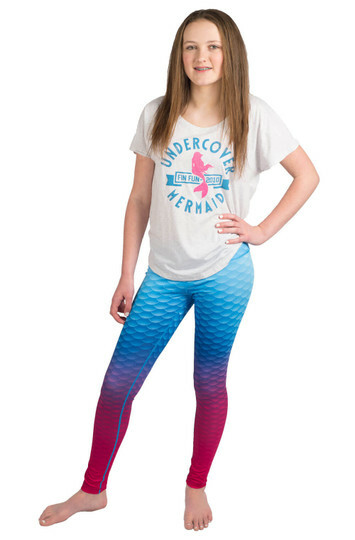 In vibrant hues of pink, purple and turquois, these soft and stretchy leggings will complete any mermaid outfit. Plus, the bright blue contrast stitching adds a stylish touch. 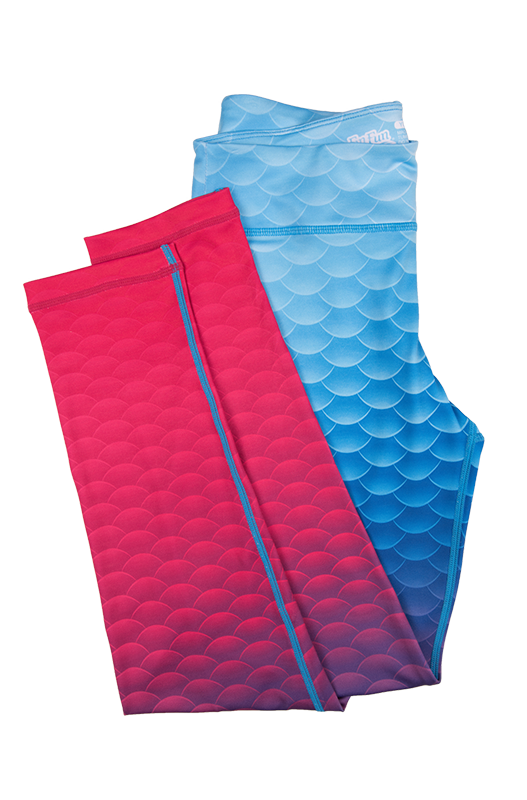 Inspired by our best-selling Limited Edition Maui Splash Mermaid Tail, our beautiful ombre Maui mermaid scales leggings will remind you of crystal blue waters and exotic pink flowers found only in stunning tropical landscapes. 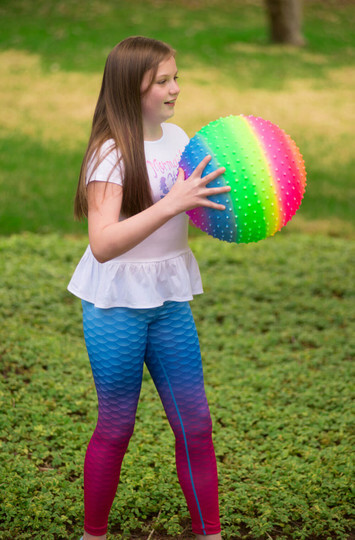 Plus, Fin Fun’s sporty mermaid leggings are super soft and comfortable – perfect for any activity! 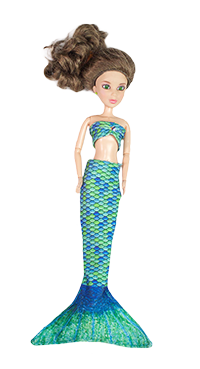 Mix and match with your favorite Fin Fun Mermaid T-Shirt to create a flawless mermaid look.